It's time to look under the sea! Compared to the Justice League poor Aquaman gets almost no respect. Laymen wonder what the hell he brings to the table since as far as they're concerned he's just a guy who can breathe underwater and talk to fish, sounds pretty lame compared to being able to fly and lift buildings right? There's also the fact that the already silly Super Friends show would try to shoehorn Aquaman into situations where his abilities just aren't as useful (logically anyways). And then there was this... ugh! That hair! Why that hair!? Whyyyyyyy...!? Ahem... but if anyone took a serious look at Aquaman's powers we shouldn't be laughing, we should be hugging our blankets and huddled up in a fetal position. The physiology it would require to thrive underwater pushes him VERY FAR into superhuman territory just on his physical abilities alone. Control of all sea-life means EVERY LIVING CREATURE on ~71% of the Earth's surface, every shark, whale, squid, and God only knows what else in the deepest darkest depths of the ocean we haven't even explored yet... and that's just the non-fictional creatures. Characterization-wise he's probably the most "man-of-two-worlds," among the Justice League. Sure some of them are from civilizations outside of the norm, but Superman and J'onn's birth-civilizations are no more, Wonder Woman's Themyscira is isolationist but rarely clashes directly with the outside world; Aquaman however hails from a Kingdom that constantly has issues with the surface world's carelessness or maliciousness and thus is caught in a precarious place trying to find a happy balance between the surface and Atlantis. Sadly summon powers are terribly (though understandably) expensive in Mutants & Masterminds 3rd edition. So in building Stream (named so for how streams of water whether over time or instantly when concentrated can cut through even the toughest materials) I left that power out; still I needed something that made her stand out from just another generic superhuman when she's above water, so I went with one other thing that's given Aquaman an edge for the last several years - a unique weapon. I decided on a spear since that was a common fishing tool for diving fishers (and it kinda made me think of one of my favorite webtoons, Tower of God if you're curious). Since it's so pivotal to Aquaman's character I likewise decided that Stream needed to be a child of two worlds; though of course the details will have to wait for if she actually gets into a game. On that note Stream has the distinction of being the only one of these rule 63'd Justice Leaguers (really need a better name) to have been submitted to a game (no I don't count the "prototypes" of Grace and Agent Owl) albeit at a lower Power Level than listed here. Sadly she didn't make the final cut. Ocean Piercer: [Piercing/Slashing] [Magic Device] A magical spear discovered by her human father; in his hands it granted him power to equal the greatest of Atlantean warrior as well as the adaptations necessary to survive the ocean depths, as well as a magical weapon. In Streams's it appears only as a weapon with magical properties, but perhaps there is other magic yet to be awakened. For now the weapons suits Stream's purpose just fine; the spear is able to leave wounds that cannot be treated by normal external means, and piercing things not normally touchable. Most importantly it is enchanted that so long as Sela is not unconscious the weapon can never be permanently separated from her, even returning to her hand once thrown. She can willfully leave it or lose it when rendered unconscious and will thus need to retrieve it personally before that enchantment will take effect again. Aquatic: [Biological] As an Atlantean, Sela is adapted to life underwater, and can exist comfortably in such environments. Swimming: [Movement] [Physical] Stream is capable of swimming at speeds up to 1,000mph casually; by exerting herself she can reach absolutely incredible speeds! Strong Legs: [Movement] [Physical] Out of water Stream's Atlantean physiology still lends her the strength needed to run and jump faster and further than ordinary humans can. Motivation - Justice: Stream can't stand for people to get away with crimes against nature and against others, and has vowed to stand against such offenders. Weakness: Prolonged time out of water will dehydrate Stream, becoming impaired, disabled, and incapacitated before her condition becomes life threatening. Fortunately submersion in water will immediately remove conditions accumulated in this way. Secret Identity: To surfacers she calls herself Sally Eddy. Fisherman by trade. 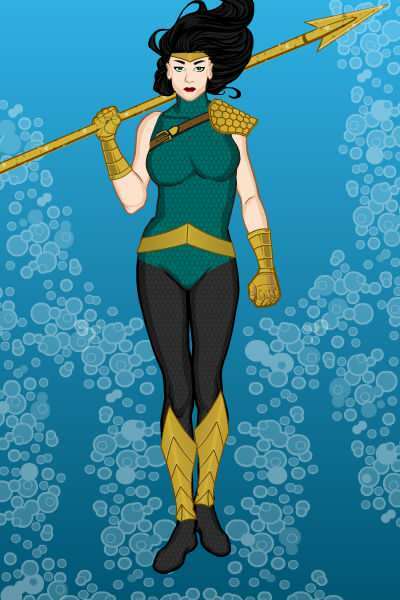 Relationship: Her father was a Mystery Man in the Atlantic known as Spearbearer, who used his magical spear to battle aquatic menaces. As a human he could only stay in Atlantis thanks to the magic of the spear, but after the death of his wife and passing on the spear to Sela he relocated back to the surface to become a fisherman and environmentalist. 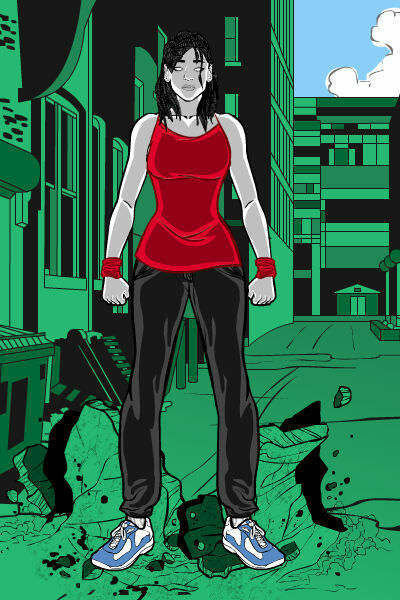 Temper: Pollution of coasts and oceans can cause Sela to lose her temper and lash out at the offender. Enemy: Zora II, the son of an old enemy of Spearbearer, is an exiled Atlantean and eco-terrorist who is less discriminating than Stream is. The two have clashed several times. Thomas Eddy may as well have been born with sea-water in his veins rather than blood, he loved the ocean, always eager to swim along the coats, catch fish, and row around in his rowboat. It came as no surprise when decided to become a sailor. Unfortunately a storm had caught his boat, quickly sinking the ship and everyone aboard. Thomas miraculously regained consciousness as he sunk. His lungs were already calling out for air and their was a sinking boat just above him, and so in desperation Thomas swam for the nearby underwater cave, praying that he could find some air in there, what he found was even better. Finding an old statue holding a strangely unblemished golden spear, he reached out for it and to his surprise found himself able to breathe even while still underwater. What's more the spear granted him great strength, which he quickly put to use rescuing as many of his fellow crewmates as he could; The sailors aboard the lifeboats were absolutely astounded at how many of their fellow sailors wound up just popping out of the water gasping for air instead of drowning! Since then the Spearbearer, the Harpooner of the Atlantic, would be a guardian of sailors and a scourge to pirates, smugglers, and polluters. Spearbearer's adventures led him into contact with Atlantis many times. At first as enemies since they were appalled that a surface-dweller had bonded with one of their sacred artifacts, an agent of Atlantis named Zora frequently spearheaded efforts to separate Spearbearer from the Ocean Piercer, but Spearbearer always seemed fated to retrieve the spear. Zora's methods grew increasingly zealous to the point that he eventually committed crimes against Atlantis in his attempts. This combined with Spearbearer's heroism won Atlantis' grudging respect for the hero and the exile of Zora. Spearbearer also won the love of Zelin, a scribe who Thomas had rescued from danger countless times. They were eventually wed and Zelin gave birth to their daughter Sela. Sela herself grew up to be a healthy young Atlantean girl who was in awe of her father and the tales of his adventures, which both parents would recant for her in great detail. Unfortunately she was treated differently by other adults due to her father being one of the dreaded surface-dwellers who have always polluted the oceans and killed their kind. Other kids would play with her but parents never allowed their kids to grow particularly close to the half-Atlantean child. Still Sela was still too young to really let it get to her, as she loved swimming in the ocean depths as much as, if not more than, her father, and the stories that her parents shared. Things changed when Sela became a teenager and her and her peers were truly taught the horrors that surface-dwellers have inflicted on Atlantis and the oceans. This led to some of her peers ostracizing or bullying Sela, slowly but surely hardening the young lady, and only her parents would ever take her side if she tried to fight back against it. Sela began to vent her anger at her surface-dweller father and caused a great deal of friction at home too. Thomas would mostly take it on the chin but was still her father and thus wouldn't stand to be outright disrespected. Only one thing put a stop to the fighting, Zelin falling ill. No Atlantean doctor could treat her and eventually she passed away. Naturally hushed whispers thought it some surface disease, and despite those rumors being completely untrue Thomas knew he was no longer welcome in Atlantis decided to return to the surface, asking Sela to come with him, at least until he made it to the surface. Once there he presented Sela with his treasured weapon, deciding to let go of that part of his past and entrust it to the one person left in the world he had absolute faith and love in, his stubborn teenage daughter. Sela tearfully took the spear, and to Thomas' surprise chose to stay with him. Together the two started fishing on the coast and also becoming activists for coastal environments. Sela, or Sally, was definitely more fiery about it though and frequently got into fights with others, forcing Thomas to show her how to fight, to restrain herself, since her Atlantean strength could easily kill someone by accident. Thomas became more and more of a mentor for Sally, teaching her how to fight, how to follow trails, and slowly but surely the two repaired their bond. Thomas couldn't be more proud of her when Sally took on a heroic identity of her own, as Stream, to combat polluters and other threats to the ocean (though he always worried about her safety). Last edited by Nintendogeek01; 07-27-2017 at 02:11 PM. It's time to look under the sea! Compared to the Justice League poor Aquaman gets almost no respect. Laymen wonder what the hell he brings to the table since as far as they're concerned he's just a guy who can breathe underwater and talk to fish, sounds pretty lame compared to being able to fly and lift buildings right? There's also the fact that the already silly Super Friends show would try to shoehorn Aquaman into situations where his abilities just aren't as useful (logically anyways). And then there was this... ugh! That hair! Why that hair!? Whyyyyyyy...!? Ahem... but if anyone took a serious look at Aquaman's powers we shouldn't be laughing, we should be hugging our blankets and huddled up in a fetal position. The physiology it would require to thrive underwater pushes him VERY FAR into superhuman territory just on his physical abilities alone. Control of all sea-life means EVERY LIVING CREATURE on ~71% of the Earth's surface, every shark, whale, squid, and God only knows what else in the deepest darkest depths of the ocean we haven't even explored yet... and that's just the non-fictional creatures. Look at Aquaman in that panel. From the way his arms are drawn, it looks like he threw that polar bear with one hand, and wasn't really putting all that much power into it! Granted, that's from a comic that most likely came out well before any of DC's reboots, so they've probably toned down his strength a lot since then, right? I am here to make an opposite gendered analogue though! Now a design choice that wasn't particularly related directly to the Flash, I decided to spread the ethnic diversity of the group by making her Asian, much like her proto-type character Nariko from earlier in this topic. This time I went with a different name, Nao Haruta, which if I am to take my online sources at face-value are both words related to being peaceful and docile. A bit ironic since I do envision her as having a hyper-active side, but unlike Nariko Nao is going to have had a few more years to grow up and mature a bit. Like Jay Garrick she's lax about keeping her identity secret (to the point that I do not list it as a complication), like Barry Allen she's polite and always willing to have a friend, and like Wally West she's got a goofy streak but a personal esteem issue; though whereas Wally spent a large part of his career trying to come to term with succeeding his uncle, Nao is instead going to be struggling with her sexuality. The costume was a bit difficult to come up with, I tried orange or red but I didn't like how it came out, and then I tried blue and found it to be a better fit, design-wise it's something of a cross between a runner's outfit and Jessie Quick. Oh and lastly, her powers; admittedly I dipped more into physics than I normally care to for this part but for some reason super-speed powers, at least when they're the thrust of the character, tend to make me wonder more than I do with other power-sets. So I took a page from BioWare and their Mass Effect series (AWESOME series!) and based her powers off of the sci-fi phenomenon the series is named for. Since Einstein, in layman's terms, said that you'd need infinite energy to move infinite mass, which anything going light speed would end up having, that the speed of light is not possible for anything with mass to achieve. The mass effect, was an energy field that caused anything within it to simulate greater or lesser mass, and was thus the primary explanation for a LOT of the advanced starship tech in that series; basically that's how Nao's powers are going to work. Super-Speed: [Speed] [Movement] [Mass] Fleet is capable of moving at superhuman speeds. She doesn't really give a whole lot of thought to how it works, but that blue energy that trails off of her is actually a personal energy field that causes her body to safely simulate a significantly lower mass than she actually has. Effectively taking her the same amount of energy a normal person uses to run an average speed to instead run several thousand miles-per-hour. This energy field also minimizes the effect such speeds would have on her surroundings unless she concentrates on letting it do so. Defying Gravity: [Speed] [Movement] [Mass] Her lowered mass and momentum allow Fleet to run across water and sheer surfaces. Hypothetically she would not need to move due to the mass affecting nature of her powers, but Fleet does not understand this side of her powers and hasn't developed it, so for now a lack of movement weakens her powers and thusly requires movement to use this facet of them. Speed Stunts: [Speed] [Mass] Fleet's super speed and physic-defying energy enable her to perform impressive feats. Rapid Attack: [Speed] [Blunt] Fleet's speed allows her to land a multitude of blows at once, her sheer speed making it easier to hit especially nimble targets. Rapid Pitch: [Speed] [Throwing] Fleet can also pitch small objects at rapid speeds, this naturally requires she have enough small objects to do this with but given how far she can move in a few seconds this is usually only a minor inconvenience. So Slow: [Mass] [Speed] Fleet may not fully understand the energy that surrounds her but she does know what happens when she uses it on a "bad guy." The energy field envelops them and slows them down because in her target's case their mass has been simulated to be heavier instead, taking more energy to move a shorter distance, eventually taking all of a targets energy just to move normally in a stationary position, and finally paralyzing them completely. Fleet doesn't have to hit a target with force, only touch them and enemies unaware of this may be taken off guard. Fleet may withdraw the energy field back to herself at will by touching the target again. Insubstantial Mass: [Mass] Fleet thinks it works just like the comics where she vibrates to insubstantiality, but in truth she's just affecting the mass of her own body and the matter immediately in contact with it to enable her to pass through it. There is no visible indicator that this happens. However electric effects of high enough concentration can disrupt this. She's usually safe to pass through a basic building with wiring, but she hasn't dared find out what happens if she tries to phase through a wall with a really impressive power grid. Fast Reflexes: [Speed] [Defense] Fleet is fast enough to dodge most anything that comes her way or roll with the blows that do make contact. Motivation - Thrills: Nao enjoys the freedom her powers give her and living life to the fullest she can. 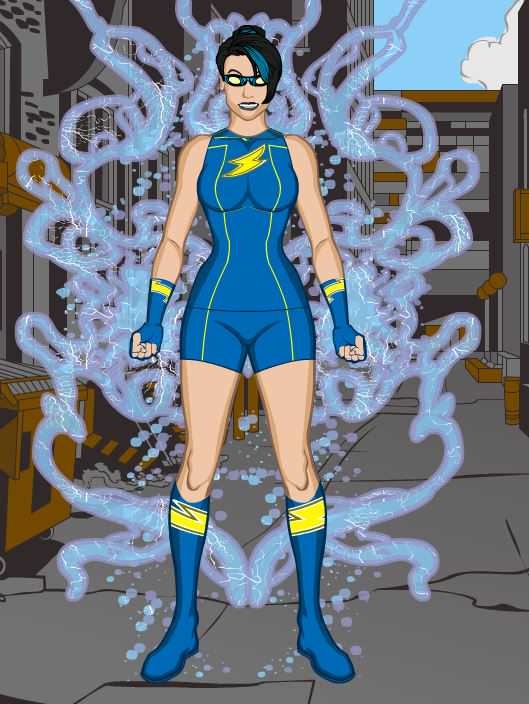 Weakness: Her powers' energy can be safely used below light-speed, but any extra effort that makes her hit light speed puts her in danger of breaking the safety limits of her energy field and runs the risk of being perpetually "stuck" above light speed; the one time she went above light speed she managed to forcefully will herself back down to her normal limits but her energy field could not do so perfectly and Nao was left with crippling levels of pain for a while. She isn't sure she could pull off returning to normal speed on her own a second time and she doesn't want to find out. Prejudice: Nao is a lesbian and even today not everyone is accepting of that. Relationship: Has very traditional parents with whom she has been estranged since she ran away. Nao has on and off tried to reconnect with them but their relations are still strained. 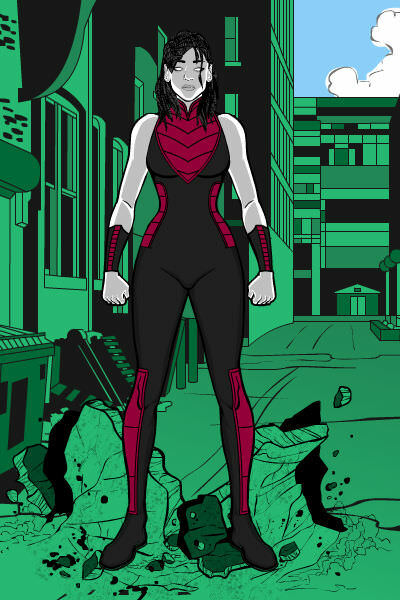 Secret: Likes the world to believe she is a mutant of some kind, but in truth her powers are due to an experiment by of which she believes she is the only survivor. Growing up Nao never could live up to the strict expectations of her parents. She tried to be good, studious, and patient. Sadly the pressure was too much for the young girl and she ran away while she was still in high school. Nao had to learn to fend for herself on the streets, which was difficult since she never quite fit in with other street kids and her being a lesbian simply isolated her further. Having nothing else to lose she volunteered for a procedure that would "change your life." When Nao woke up she was at first thrilled to have superpowers, but soon horrified at what the mysterious doctor had been doing to finally generate this success! Nao used her newfound powers to destroy the lab and swore never to speak of it again; instead she would use her powers to live how she always wanted to be - to be a better person, and to live free of anyone else's standards. Last edited by Nintendogeek01; 07-27-2017 at 02:14 PM. Welp, not sure how many of you guys saw the news stickied to the top of the general thread. But on the off-chance anyone's been actively following me, I'm going to be seeing if I can copy these sheets over to another thread elsewhere... I hope. If not... welp this was fun. Kinetic Power: [Kinetic] Like all Moshians Silver Star's body is able to manipulate kinetic energy. This is usually limited to his body and whatever he's in contact with, but can exert himself to expel the kinetic energy in other ways, doing so tires him out however. Kinetic Strength: [Kinetic] [Physical] The most common application of Silver Star's kinetic energy is using it to push his strength to superhuman levels, enabling him to strike and throw with greater force and lift upwards of 100 tons! Kinetic Blow: [Kinetic] [Physical] Silver Star can directly channel kinetic energy from his blow directly into his opponent. While the blow in and of itself is no stronger than one from a physically fit human being, the kinetic energy can send opponents flying back and rattling their inner bodies to the point that they have a difficult time fighting back or defending themselves. Superhuman Resistances: [Biology] As a Moshian he does not need to consume physical matter for sustenance. He also has a longer lifespan, better resistance to diseases and poisons, and is able to withstand harsh environmental conditions for longer. Bulletproof: [Kinetic] [Biology] His Moshian body is better able to absorb impacts. Impacts up to certain calibers of firearms are completely negligible to him. Kinetic Jump: [Kinetic] [Movement] Using his body's kinetic energy and leaping he is able to leap up to one mile in a single bound! Alt; Super-Speed: [Kinetic] [Movement] He is able to utilize kinetic energy to greatly bolster his speed. He can easily reach 500 mph, but if he really books it he can go as fast as 1,000 MPH! Super-senses: Moshians possess better visual and auditory range. Motivation - Responsibility: Silver Star feels a sense of duty to his newly adopted homeworld and does what he can to protect it. Enemy: Dr. Destruction! A mad scientist who has made it his life goal to capture Super heroes and study them to improve his inventions, all so he can eliminate them and elevate humanity (namely himself) to its rightful place in the world! While eccentric enough that few people take him seriously make no mistake, he is clever and is just as capable of using his deadly devices as he is of creating them! Silver Star is the first super human to not only escape him, but also turn him over to the authorities, and as such the Doctor is particularly focused on eliminating this alien! Identity: Has assumed the identity of Ernest Evans, professor of Science at Freedom City University, specializing in biology. Relationship: His adoptive parents, Mr. and Mrs. Evans live in Freedom City. Secret: Has the odd data pad. All he's learned from it is that he's an alien of some kind, "Moshian." He still can't really read the tablet or its data. But who knows what could be on it if it were deciphered? Secret: Has thus far not revealed to anyone that he's actually an alien. Lonely: He wonders why he's the only one of his kind on Earth often, sometimes leading him to feel isolated. Moshians are one of the many human-based races seeded on another planet by the Preservers. Besides Kinetic energy based powers they also utilized unique technology that took advantage of this natural ability. The Moshians and their homeworld were dying out, and so in desperation created special stasis ships that contained as much data about their culture as they could, and then loaded the ships with their infants. Originally they were designed to head to a habitable planet the Moshians identified and wake up after some years, unfortunately there were many things that could go wrong with this plan and all of them did happen to one ship or another. In Er'Vans' case, the data transference did not fully sync with his developing brain and as such very little information about Moshian culture made into the infant's mind. A navigation error made it so his ship diverted to another planet: Earth. Mr. and Mrs. Evans found and adopted the child, named him Ernest and taught him right from wrong. The first time he used his powers in public got him noticed by a deranged scientist who captured him. Dr. Destruction was thankfully thwarted by the same youth who escaped him and destroyed his machines. Since that day Ernest Evans became a professor at Freedom City University and adopted the identity of Silver Star and decided to stand up for his adopted home in its time of need! Silver Star desires to learn more about his origins from the alien device he has. All he really knows is that he is an alien called a Moshian and that's where his powers come from. Nintendogeek01 wants to see him well and truly realize where he belongs in the world. Silver Star knows he's an alien from another world. He does not reveal this to others besides his family. 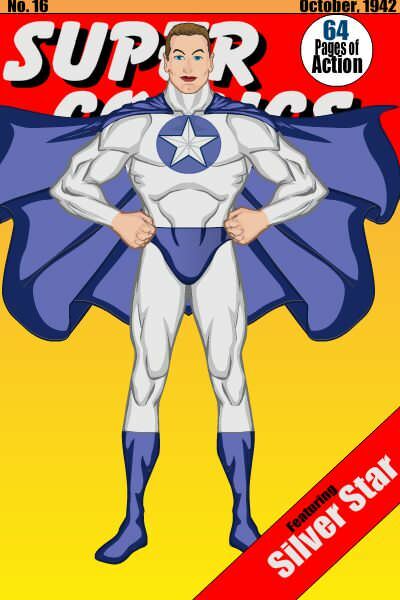 Silver Star is unaware that others were sent out into the universe nor that his home planet is destroyed. How many of the other "Star babies" survived the trip is unknown. Mr. and Mrs. Evans are his aging parents in Freedom City who raised the boy and taught him the life lessons that shaped him into the man he is today. Mark Leeds is a colleague of his from the University. They've taken lunch together frequently and discuss super heroes as well. Dr. Destruction is out to capture Silver Star, discover all he can about his powers and where he came from, and then finally have his revenge and show them all! Mua ha ha ha ha...!!! Ernest Evans still has a weakness for that lemon cake his mom made. He tend to cross their arms when at rest. He is rather annoyed when people misuse the word "theory." It's time to look under the sea! Compared to the Justice League poor Aquaman gets almost no respect. Laymen wonder what the hell he brings to the table since as far as they're concerned he's just a guy who can breathe underwater and talk to fish, sounds pretty lame compared to being able to fly and lift buildings right? There's also the fact that the already silly Super Friends show would try to shoehorn Aquaman into situations where his abilities just aren't as useful (logically anyways). I dunno, maybe it's time we accept that Aquaman IS weak when compared to other classical Justice Leaguers. Now, the aquatic archetype isn't necessarily silly. The Sub-Mariner is a well-respected Marvel character. But Namor goes toe-to-toe with the Hulk and holds his own. No one will believe it if Aquaman goes toe-to-toe with Superman. Aquaman is moderately powerful. But the rest of the classic League is just tremendously overpowered. Time to get back to it and make the Green Lantern womanalogue! Like the Flash, the Green Lantern is an identity carried by many characters over the years. The first one was more mystical in origin when Alan Scott found a literal magic green lantern that he fashioned a ring from. After several years of being a pulp hero the Lantern mythos was reinvented with the sci-fi bend most everyone is familiar with today. Green Lantern is a name practically synonymous with "space cops," and myriad characters have worn the Green Lantern rings. The hot-blooded Hal Jordan, the soldier John Stewart, the artistic Kyle Rayner, the extra hot-blooded Guy Gardner, and many more. But one consistency among the sci-fi Green Lanterns and Alan Scott before them is an indomitable will and a sense of justice for them to carry their light forth and protect the universe from those who would do it harm. Though distinct characters each Green Lantern ring is more than just a power-source, it's a responsibility, and one that the various wearers have stepped up to. I feel that outer space will get the representation it needs with my other parallels here, so I'm going to hearken back to Alan Scott here and give magic an in. Thus this character will actually be a magic user. I have mixed feelings on magic and comics, especially since many writers have used magic in comics as a bit of a "do-anything" tool, so it's one that has to be handled cautiously, I actually kinda like how the MCU handled magic, there were some clear and easy to understand rules and limits and anyone breaking those limits elicited an "oh crap!" type reaction from anyone who understood the implications. Back to the topic at hand, the way I see it the GL rings are likewise very powerful tools, and they too require tremendous will to use. All Green Lanterns have a higher responsibility than just themselves, and whereas most superheroes come around to this on their own, the Green Lanterns have, for the most part, more literally answered to a higher authority. This led me to create a sort of mythos for magic with this character as you'll see soon. Magic Blast: [Magic] [Different Elements] Powerful magical energies of many different elements that Kayla can make manifest from anywhere within her sight, catching her opponents unawares. 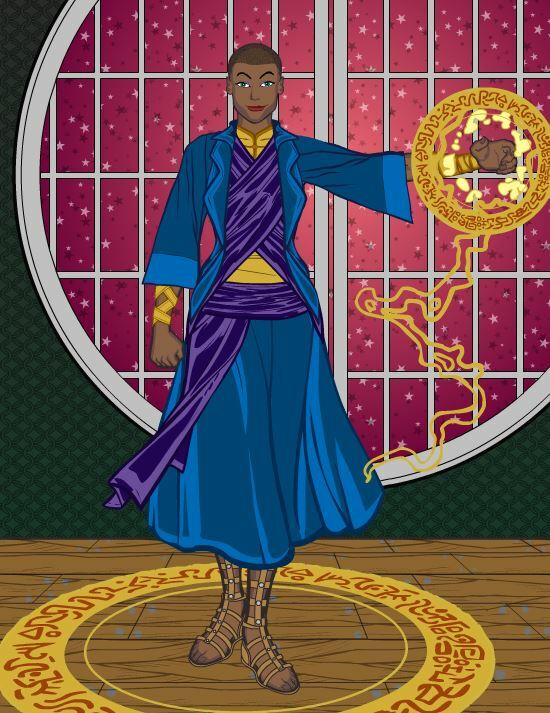 Dispel Magic: [Magic] Kayla is capable of dispelling other magics. Ghost Hands: [Magic] Kayla is capable of remotely grabbing moving objects, only those with senses that grant awareness of magic can tell that she is commanding ghostly hands to manipulate these objects. Restorative Magic: [Magic] [Life] Healing magic that is capable of healing the living. Magical Constructs: [Magic] Sigils, runes, and glyphs weave together in intricate patterns to create objects that Kayla can envision. These last until she dispels them herself. Spirit Blast: [Magic] [Spirit] Rather than magic blasts that damage the body this blast targets the spirit to damage foes. Mystic Field: [Magic] [Protective] [Movement] This magical aura envelops Kayla, protecting her from physical harm and allowing her flight. Astral Projection: [Magic] [Spirit] Kayla can separate her spirit from her body, allowing her to wander without the constraints of her physical body. Prime Magus' blessings: [Divine] Until the day she anoints her successor the Prime Magus shall not die of natural causes. Mystic senses: [Magic] Kayla is attuned to magic in such a way as to be able to identify any magic in her vicinity. Motivation - Thrills: As a hedonist Kayla believes in living life for happiness and for giving happiness to others. Responsibility: The Prime Magus is responsible of safe-guarding Earth from more mystical threats. Reputation: Her flippancy and hedonism can send the wrong message. At one point many different pantheons of many different gods and goddesses were worshiped by mankind, there too was a time they could travel to Earth freely. However their presence on Earth often left great changes, not all of them benign, in their wake and their many wars between the pantheons, and even amongst themselves, was a threat to mankind. Eventually a group branded as heretics of faith gathered their power and rose up. Though no match for the Gods in a true test of mystical might they still got the attention of the Gods and made them realize the effect their presence had in the world where their worshipers lived. And so the mortal mages helped forge a complicated series of pacts and agreements that would limit the influence of the Gods on Earth, including one concession to empower a mortal agent, one who stood directly for the mortals, to act as overseer of these treaties and protect Earth from mystical threats: The Prime Magus. The last Prime Magus was the mythological Merlin, who when betrayed by his pupil sealed the majority of his power with him in his tomb. It would not be for hundreds of years that another mage would inherit the title when she deciphered the secret of Merlin's tomb and was deemed worthy to carry on the legacy of the Prime Magus. Now from her mountain temple Kayla watches over the world, and when time allows her takes her extended time to enjoy life. Last edited by Nintendogeek01; 12-22-2016 at 11:58 AM. Another break from Opposite Gendered Analogues to create a new character for a game! I saw a Hero High game posted and... well at first I wanted to submit a paragon but then I was figured "Nah... I got plenty of paragons floating about out there already." So the next line of thought was "what could potentially be a really bad power-set to give a teenager?" Huzzah! So I'm creating an empath. Not only that... the Queen Bee of the popular clique! An emotionally unstable teenager with power over other people's emotions? There is NO WAY that could EVER go wrong... But really, in a way it's a second chance to explore the character development of someone not particularly heroic growing into the role, an opportunity that wound up being missed with Crystal. So finger's crossed she makes the cut! 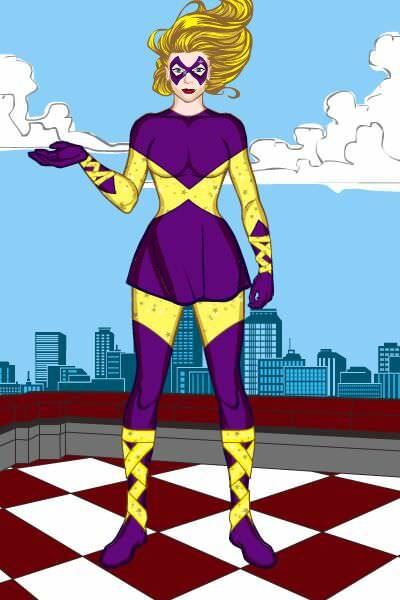 Empathic Magnetism: [Emotion] Since getting her powers, Julia has been even more irresistible! Heightened Awareness: [Senses] [Mental] Being able to feel other people's emotions has made her more aware of her surroundings and others, though she'll never admit it. Softened Blows: [Emotion] [Mental] ... and even if they do it may just be a glancing blow or a pulled punch. Empathy: [Emotion] [Mental] Gem is able to sense the emotions of people all around her, this often gives her greater insight on how to use their emotional state to her advantage. Empathic Powers: Gem is able to use her empathic powers to directly influence people's emotions. Listen to Me: [Emotion] [Mental] By making targets hopelessly in love with her or afraid of her ire, or any emotion that would cause a target deference to her, Gem can make a target do whatever she tells them to do. Overwhelming Emotion: [Emotion] [Mental] Sometimes instead of a new minion, Gem would rather just overwhelm a target with sadness, happiness, boredom, etc. to take them out of a fight. Conflicting Emotion: [Emotion] [Mental] Stimulating a person's emotions, especially conflicting ones, can be hazardous to their health. This mental damage isn't always readily apparent to her victims. Morale Boost: [Emotion] [Mental] She can instead use her mental powers to use positive feelings to boost her allies' effectiveness. Motivation - Popularity: Julia greatly values her position as part of the upper-crust of Claremont's social cliques and she intends to keep it that way. Identity: Julia Stone, daughter of Ward Stone, the CEO of Stone Jewels. Relationship: Julia does genuinely love her parents, Ward and Jasmine even if she is spoiled by them. Relationship: She's surprisingly protective of her clique, the "Claremont Jewels" as other students know them (whether derisively, enviously, or with awe). Respect: Duncan Summers and Gabriel Marquez are the only faculty that Julia doesn't even dare to talk back to. Accident: During Julia's more emotional moments she may lose control of her powers and randomly activate one of her "Empathic Powers" at random on any target in sight. Trauma: When Julia's powers first manifested she accidentally sent her mother out into busy traffic leading to her being paralyzed! Julia copes by asserting control, but prolonged periods of lost control can be a downward spiral emotionally for Julia without outside intervention. Honor: She additionally cannot intentionally order anyone under the control of her powers to do something she knows is likely to be life-threatening or life-ruining (ie. super-strong bad guy she might order to turn against his boss unless said boss is obviously able to easily kill said bad guy). The Stone family grew wealthy mining the area around Emerald City, but it had already largely changed focus to jewelry by the time Julia was born. The girl grew up to be the Stone family's princess, anything she wanted mommy and daddy, especially daddy, were always glad to provide. Unfortunately for staff and other people this led to Julia being quite spoiled and used to having her way; a trait that was exacerbated as Julia learned fairly quickly how to twist her parents around her little fingers. She might've been hopeless had it not been for Ward deciding to instill a sense of responsibility in her by bringing her to tour the offices and see how business is conducted, or at least that was the plan; the real life-changer in fact had nothing to do with any intervention on Ward's part. Julia instead was eyeing a display case of oddly colored stones. In an unusual surge of resilience on Ward's part he flatly told her no when she begged to have one of them. Julia pouted and just stared at the display case and the stones within; the violet stone in particular as it began to glow brighter and brighter until it emitted a blinding flash bright enough to blind Julia and send her reeling back onto the floor screaming with pain! Ward had her quickly rushed to the hospital for treatment. Luckily there didn't appear to be any permanent eye damage, she nonetheless stayed for roughly a week when the pounding headache wouldn't go away. At first she was more than willing to order around the doctors and nurses, but eventually she demanded they leave her alone, as each time one entered the room she just felt tired or frustrated or... worried? Sending people away didn't help however and the constant influx of emotions would continually wear on Julia's mental health and patience. It reached a breaking point when her concerned mother tried to talk to her and the mentally weary Julia demanded she "Get away from me!" this spiked a surge of fear in Jasmine which sent the poor woman running and screaming out of the hospital. Julia could see out the window where her mother ran into the parking lot and got hit by a turning car! Jasmine was lucky to get away with being confined to a wheelchair, the doctors seemed uncannily motivated to do their best whenever Julia came around to visit. But Julia herself became withdrawn for a period of time, barely eating or sleeping. Desperate to have his girl back to her old self Ward reached out to anyone who could help and he was eventually put in touch with Duncan Summers, who flew out to meet the girl quite against her wishes. Duncan had his misgivings on how doting Ward was, especially when compared to what he heard regarding her reputation in the hospital. Still he knew he couldn't leave a young girl in such a state and told her that there was a place where she could learn to control her powers and never have to be afraid of them again. Cautiously hopeful Julia wanted to know more. A few basic lessons in meditation to get her started (and so there wouldn't be any mishaps on the way), some paperwork signed, and some heartfelt goodbyes later Julia was on board a plane bound for Freedom City, and Claremont Academy. Julia was determined to make a fresh start at Claremont and did so. With some guidance from teachers and guest instructors to help get her powers under control Julia slowly but surely learned how to use them to her advantage. She could wrap boys around her finger, have some of the girls in awe of her, and if that didn't work she could make them too afraid to cross her. By sophomore year Julia was queen bee of the "Claremont Jewels," consisting of her, Katie, Lucy, and Mary. Though she does order them around like they're her servants it's still loyalty well-earned as Julia does care for their personal lives and well-being, and woe be to the student who thinks it's a good idea to mess with them because Julia will do everything in her considerable influence on the other students to tear them apart! Last edited by Nintendogeek01; 07-27-2017 at 02:15 PM. Been a while since I've posted here; sadly my opportunities to do much M&M have dried up, but another old concept is finally getting a shot. Made for Emerald City Knights I wanted to create a stormer who represents the changes, both good and ill brought about by the Silver Storm. On one hand she has powers that she can put to good use, but on the other hand her normal life, already a struggle, has become a lot harder. Still she has a reason to keep going and and so she perseveres, that's a big part of being a hero after all. Metal Body: [physical] [metal] [power induced] The mixed blessing of the silver storm, Fiona became Ferrous, the Iron Lady. Her metallic form grants her tremendous strength and durability, and she's no longer encumbered by what would negatively impact an organic body any longer. The drawbacks are being much heavier and not being able to enjoy certain simple sensations an organic body once could. While she cannot change her form at will, hypothetically someone could nullify the effects and force her back into her organic body for a while, but barring that she is stuck in her new, borderline unliving, metallic body. Self-Mending Metal: [physical] Her metallic body is capable of fixing itself to a normal state. Now if only this saved her money on tarnish remover and polish. Strong Legs: [physical] [Movement] With her heightened strength she's able to jump and run further and faster than others. Thunderclap: [Sound] [Strength] By slamming her metal hands together as hard as she can, Ferrous makes such a loud sound that she can potentially stun people who are close enough to her. Groundstrike: [Strength] [Shockwave] Whether being hit by a projectile dislodged from the ground she strikes, or from falling over and injuring themselves before scrambling to their feet, Ferrous strikes the ground with such force that those on it will potentially be injured. Custom Car: [Vehicle] Some time after the Silver Storm, Ferrous acquired a vehicle that could support her greatly enhanced weight. Not so much for herself but more so she could still drive her kids where they need to go. Motivation - Responsibility: Though still having some difficulty coming to terms with the change brought on by the Silver Storm, Ferrous strives to be a good example for her kids; just because she has power she shouldn't abuse it. Accident: Though careful almost to the point of paranoia when interacting with people in a social setting, Ferrous still weighs almost a ton, and has tremendous strength. During less calm moments she could easily cause a lot of damage. Relationship: Has two six-year old children that are her whole world to her; fraternal twins Joey and June, whom she will risk anything for. Though her parents, the Smiths, are still alive and doing well for themselves it's been years since they last talked. Fiona will never admit how much she wants to reconcile with them. She is good friends with fellow fitness instructor Dan Walter. Competitive: Fiona spent years having her athleticism undermined by others and she always made it a point to show them up. Those days may be behind her but that habit has not gone away; as mixed as her feelings are on her new metal form, if someone undermines her newfound strength she can become almost single-mindedly competitive with the offender. The Smiths were a well-to-do family in Emerald City, formerly in lumbar before selling the company and moving into the growing corporate businesses of the West Coast. When Henry and Silvia Smith had a daughter they had immediately made plans for her to grow up and be a perfect modern young woman. Things didn't exactly go to plan. From a young age, Fiona was a wild child. She loved sports, she loved running, she loved competition; at first her parents let her have what she wanted in that regard, sports camps, self-defense classes, the works. "She's young, she'll grow out of it once she becomes a teenager." But they were quite wrong on that point too. Fiona continued to play in sporting events, no matter how often her athleticism was belittled because she was a girl, no matter how much her parents fought with her about it she still loved the feeling of moving and being alive for it. Against her parent's wishes she went to become a certified fitness instructor. Looking back Fiona can't say as she ever regretted that choice, but the one thing she considers a mistake was falling for a man by the name of Pete Barry. When she became pregnant with his child that was the last straw between her and her parents and they angrily cut ties with one another, unfortunate because Pete left her shortly afterwards, leaving Fiona by herself with the twins Fiona eventually gave birth to. While Pete may have been a mistake Joey and June are the world to Fiona, they were her reason to keep going when things were at their darkest. Hearing them cry may have been harsh reminders of how hard life had gotten compared to before, but hearing them laugh, watching them take their first steps, and sending them off to their first day of school were irreplaceable moments to Fiona as she did her best to balance taking care of the kids, and tending to her responsibilities at the gym. Both of which were made easier when she befriended fellow fitness instructor Dan; they tried dating once, but quickly decided they were better as friends and they've been maintaining this friendship for some time, helping each other out when they needed it. Communication between Fiona and her parents has been inconsistent. There are days when Fiona will pick up the phone to try and reach them; at first nothing came out of these but after about a dozen of these over the course of a year they've managed to talk for a few minutes before it spirals into an argument, mostly because Fiona always defends the choices she's made over her life while her parents constantly disparage them. Fiona occasionally has noticed a bit more money in her bank account than she last recorded, with tellers assuring her that there was no mistake, but if her parents have been doing it they haven't admitted it. Dan has said that if Fiona didn't get angry with them they might actually talk out their issues, but so far this hasn't happened. Her life a mixture of blessings and curses is now coming to take another turn while she is out shopping on the Yellow Brick Row, the twin's birthday is tomorrow and she's out to find a perfect gift for the both of them on this new day. Maybe after she's done shopping she'll... try and see if her parents want to see their grandkids blow out their candles on their sixth birthday. After she's done shopping. This is when the Silver Storm comes!